Google's sister company Waymo sought $1bn (£760m) from Uber in settlement talks over the alleged theft of self-driving technology, it has been reported. 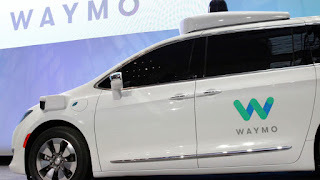 Waymo wanted the enormous figure as part of a conditional settlement with Uber regarding a lawsuit over the alleged theft of 14,000 documents containing trade secrets. These documents are understood to reference a proprietary tool called Lidar which Waymo's self-driving cars use to navigate. Uber has claimed its own technology was significantly different. Reuters reported that Uber rejected the conditions of the settlement as a "non-starter" - the latest turn in a case that has been escalated to the US Attorney's Office. Waymo accuses former executive Anthony Levandowski of stealing key technology that is now helping Uber assemble a fleet of autonomous vehicles for its ride-hailing service. Uber bought Otto for $680m (£540m) last year and Mr Levandowski was overseeing the cab service's efforts to develop cars driven by robots. In May, Uber sacked Mr Levandowski after he failed to meet the company's internal deadline for handing over a laptop containing the alleged stolen documents. Reuters claimed that the "aggressive" terms of Waymo's settlement offer showed its "confidence in its legal position" after a series of pre-trial hearings went in its favour. Reuters sources said no further settlement talks were scheduled and quoted Waymo attorney Amy Candido, saying the company's reasons for suing Uber were "pretty clear". She added: "Waymo had one goal - to stop Uber from using its trade secrets. That remains its goal."